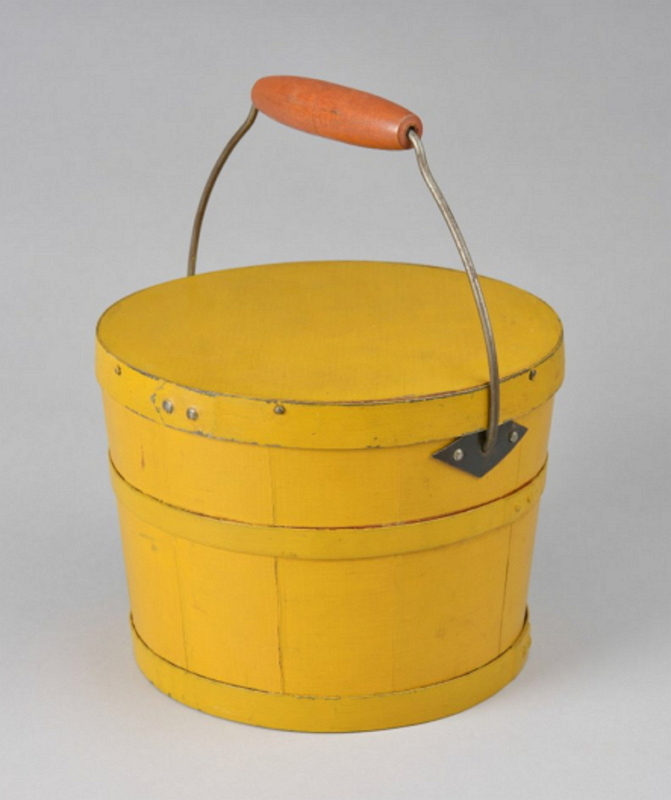 Lidded seed box with brass wire hinges. Top held up by string at either end, though the right string is broken. Inside divided into six sections, with five set-in partitions. Machine-dovetailed corners. Stained dark reddish brown. 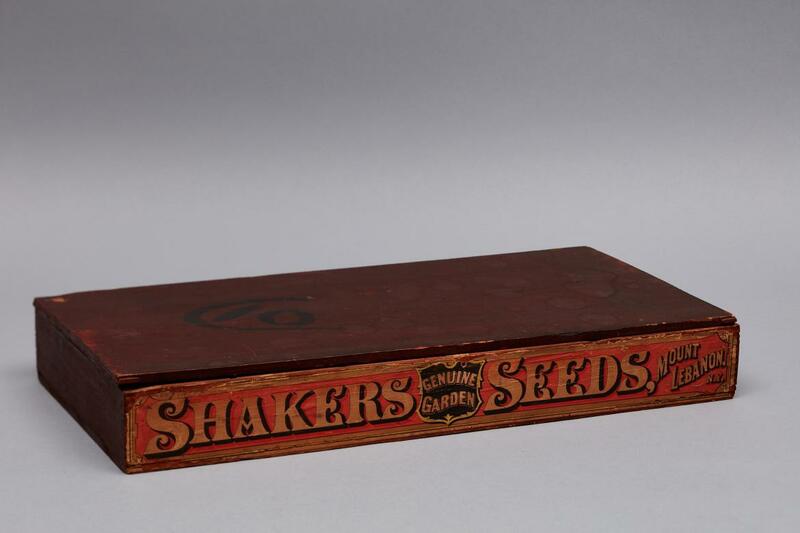 A paper label on the front printed in red, white, and black,"SHAKERS' GENUINE GARDEN SEEDS, MOUNT LEBANON, N.Y.". 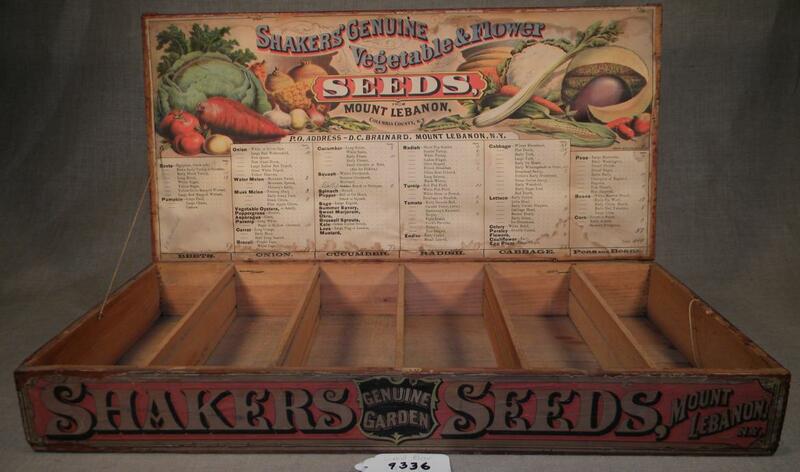 Inside the lid the label reads "SHAKERS GENUINE Vegetable & Flower SEEDS, from MOUNT LEBANON, COLUMBIA COUNTY, N.Y. / P.D. ADDRESS - D.C. BRAINARD, MOUNT LEBANON, N.Y.". 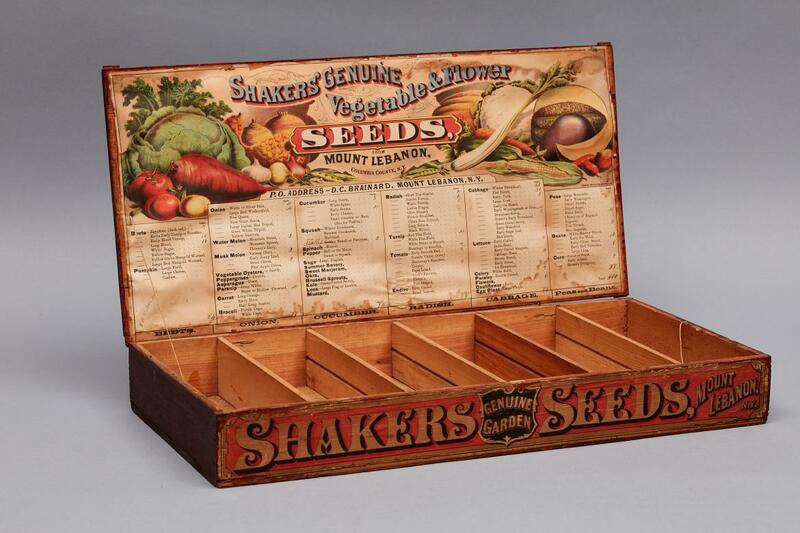 The label goes on to list many seed options.